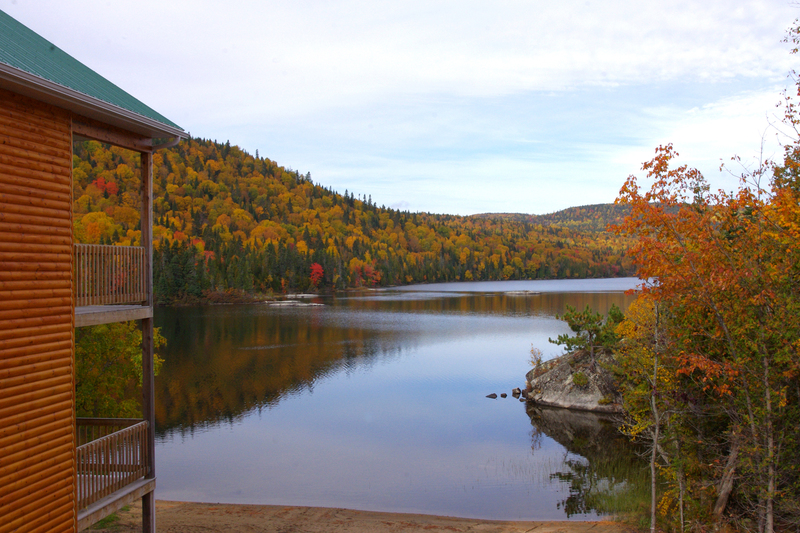 Overlooking the beautiful Lake Boulanger. 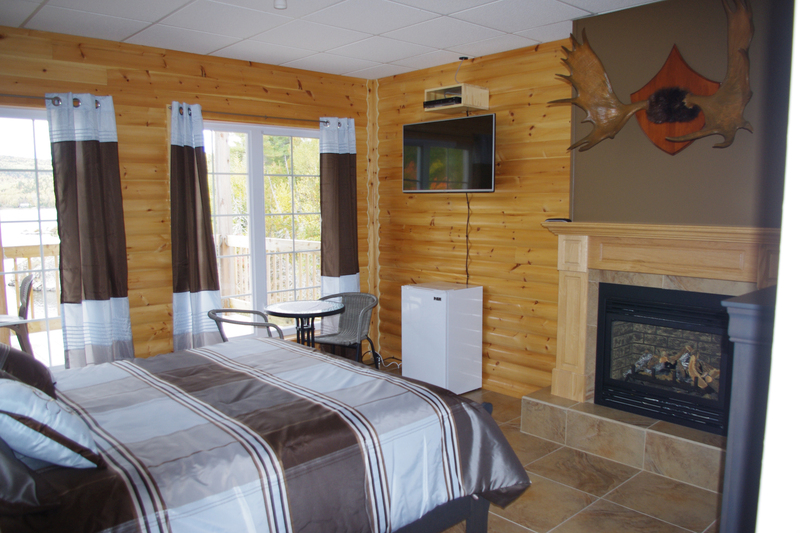 Whether you're a couple, a family or a group, we have the chalet for you. 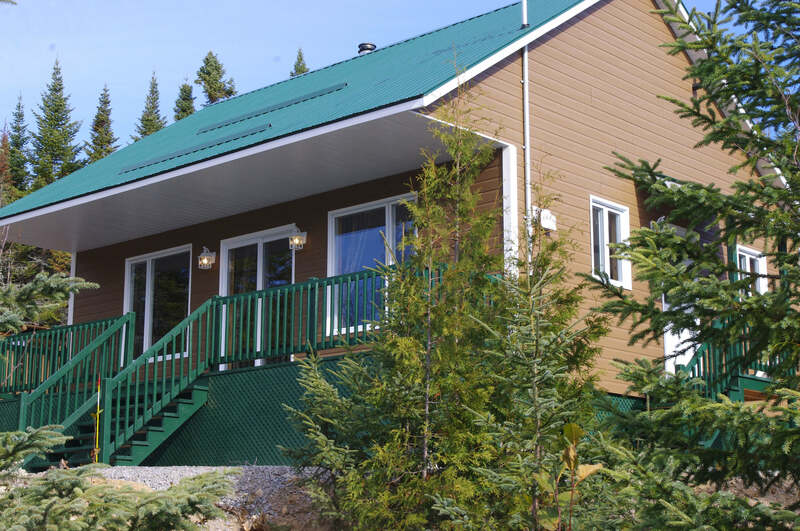 From the small chalets (for 2 people minimum) to larger ones (up to 20 people), all except the chalet number 10 which is equipped with propane gas and solar energy and can accommodate from 8 to 10 people, all are powered by electricity. 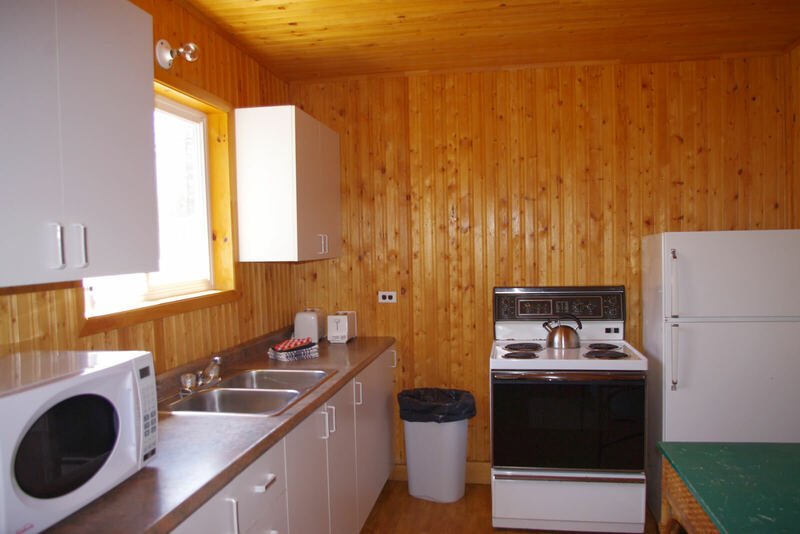 All of our chalets offer the following amenities: stove, refrigerator, dishes, cookware, coffeemaker, toaster, microwave (for chalets with electricity), hot water, shower, etc. In short, you will find everything you need to spend a comfortable holiday while being surrounded by fabulous scenery found in the forest. 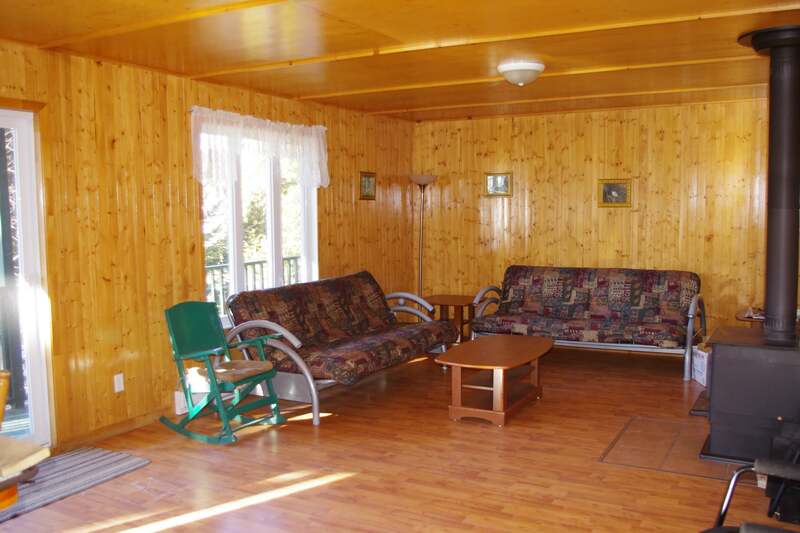 This chalet can be rented for at least 10 adults during the months of May and June and a minimum of 8 adults from the month of July on. 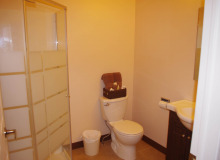 It comprises 3 bedrooms in which there are 3 double beds and 8 simple beds. 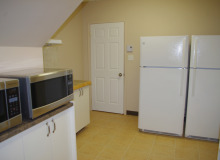 The kitchen includes 2 refrigerators, a stove, a microwave, 2 toasters and 2 filter coffee makers. 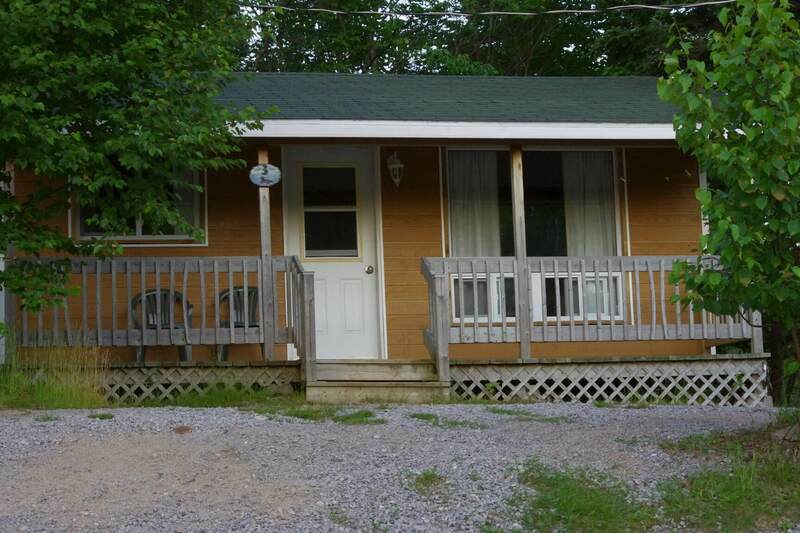 You will also find two full bathrooms with showers. 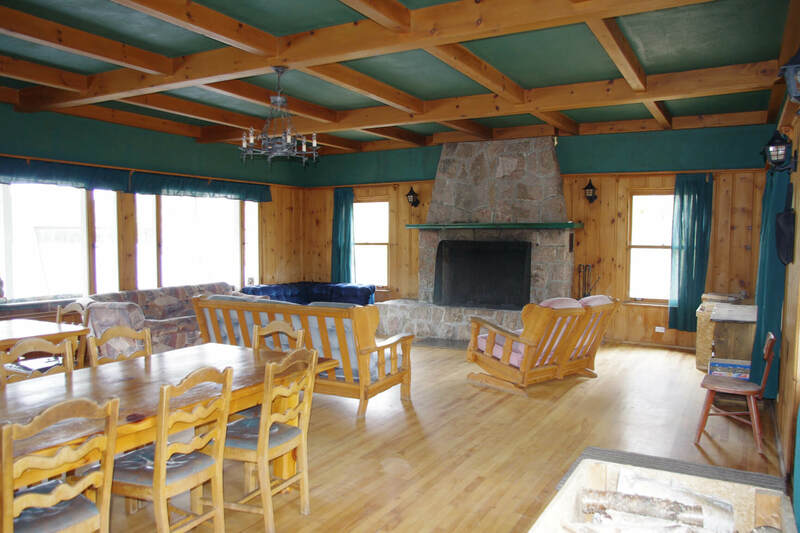 A magnificent stone fireplace and a large wood stove will heat up the atmosphere of this big rustic all-wood chalet, decorated with a very large screened porch. 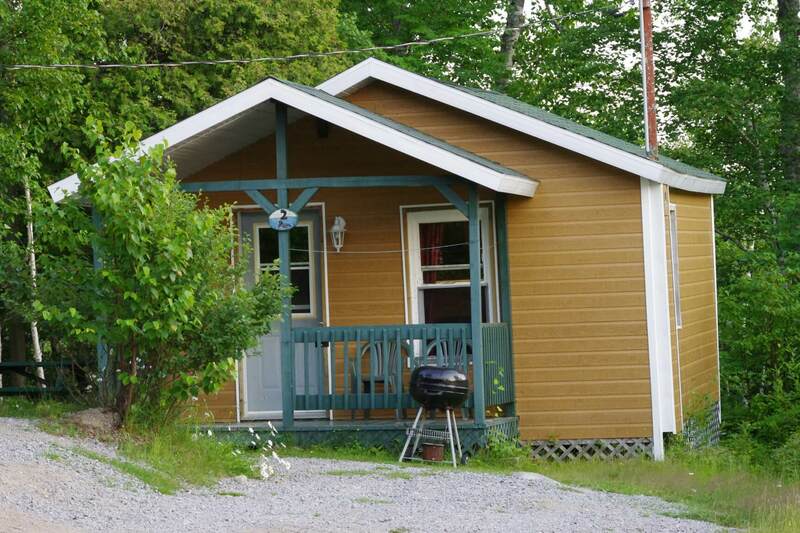 Like all our chalets, the number 1 is located directly by the lake. 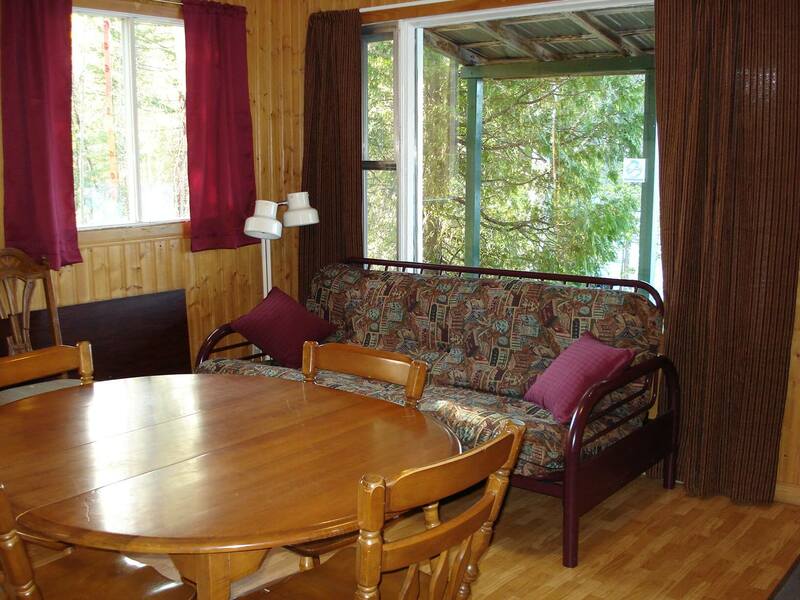 The cute little rustic chalet number 2 is arranged for two adults. 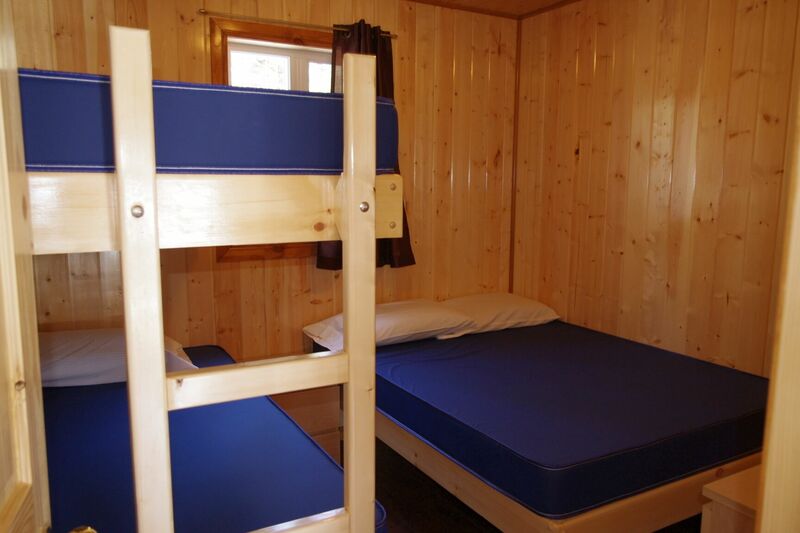 It may however be possible to accommodate a child as well, since the room has a double bed and a single bed. 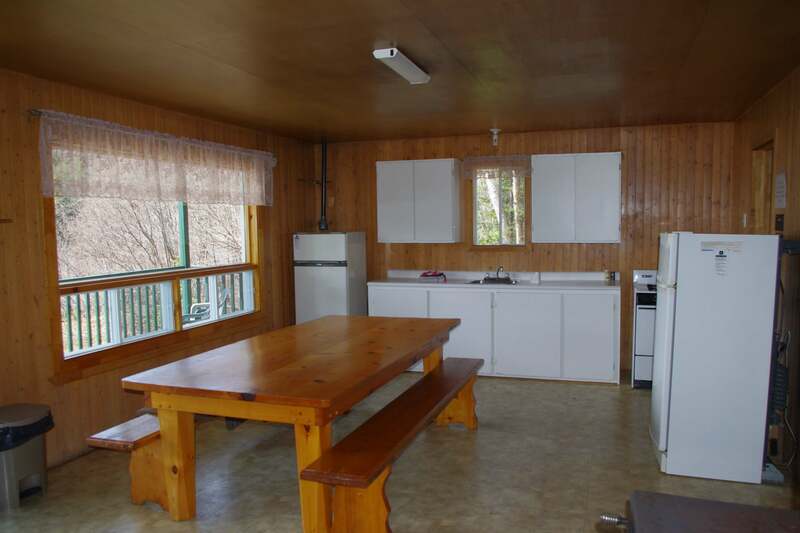 The kitchen is fully equipped with electricity and includes a refrigerator, a stove, a microwave, a toaster, a filter coffee maker, dishes, pans and all necessary equipment. The bathroom is equipped, of course, with a shower. 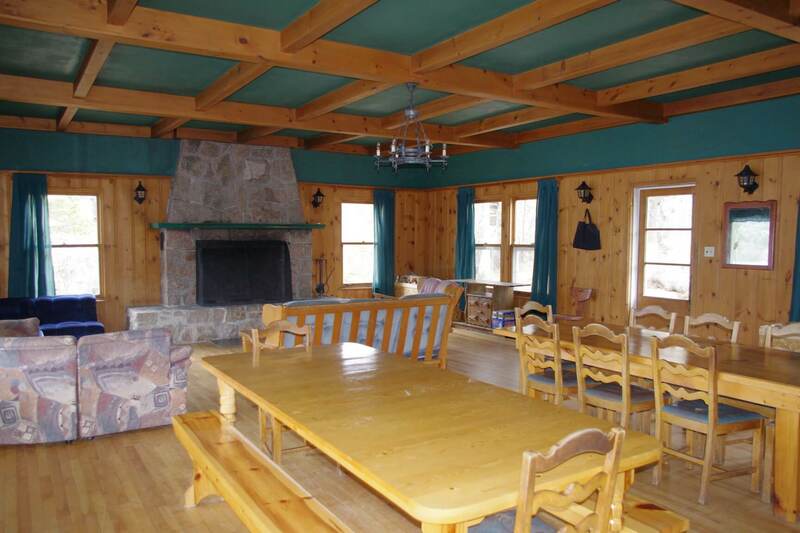 The chalet number 3 is arranged for two to four adults. 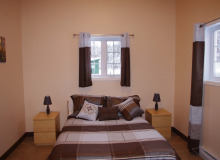 There are 2 bedrooms, one of which includes 2 double beds and the other a double bed and 2 single beds. 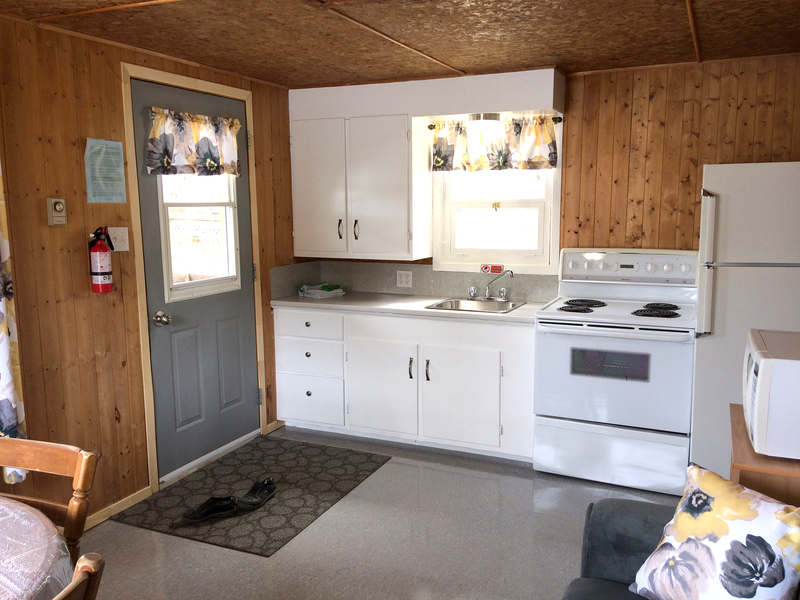 The kitchen is fully equipped with electricity and includes a refrigerator, a stove, a microwave, a toaster, a filter coffee maker, dishes, pans and all necessary equipment. The bathroom is equipped, of course, with a shower. 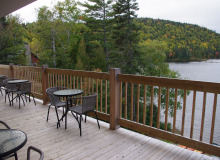 This chalet is located in a small sheltered bay. 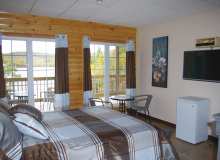 The chalet number 5 is arranged for two to four adults. 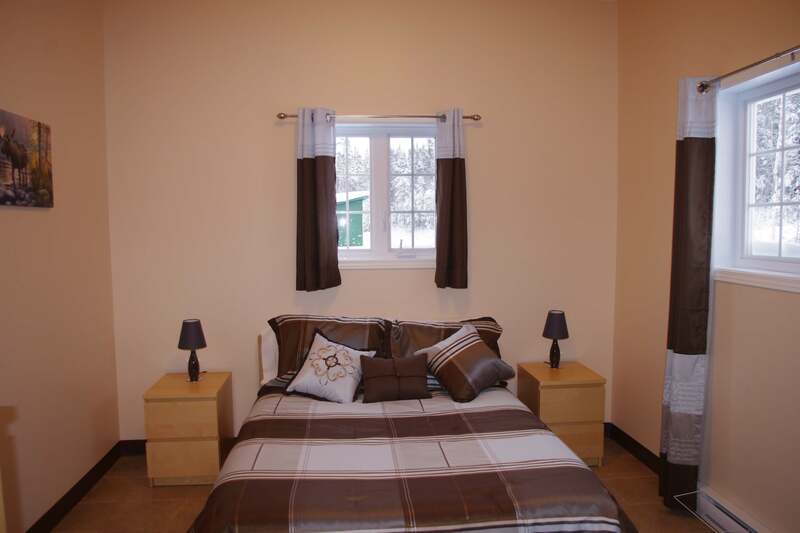 There are 2 bedrooms, one of which includes 2 double beds and the other a double bed and 2 single beds. 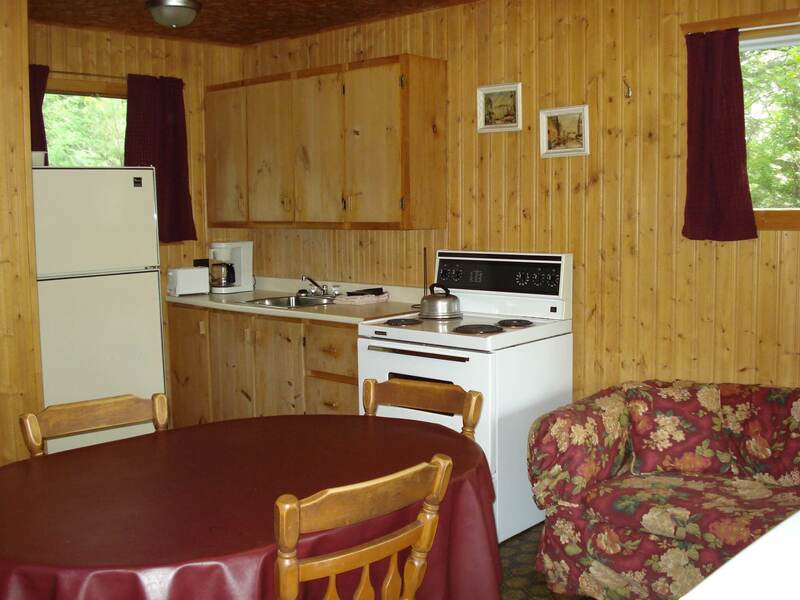 The kitchen is fully equipped with electricity and includes a refrigerator, a stove, a microwave, a toaster, a filter coffee maker, dishes, pans and all necessary equipment. The bathroom is equipped, of course, with a shower. 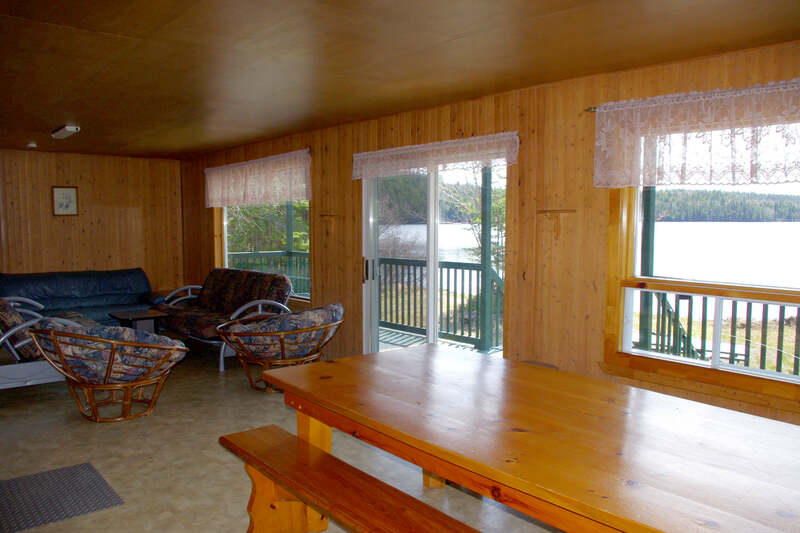 This chalet is located in a small sheltered bay. 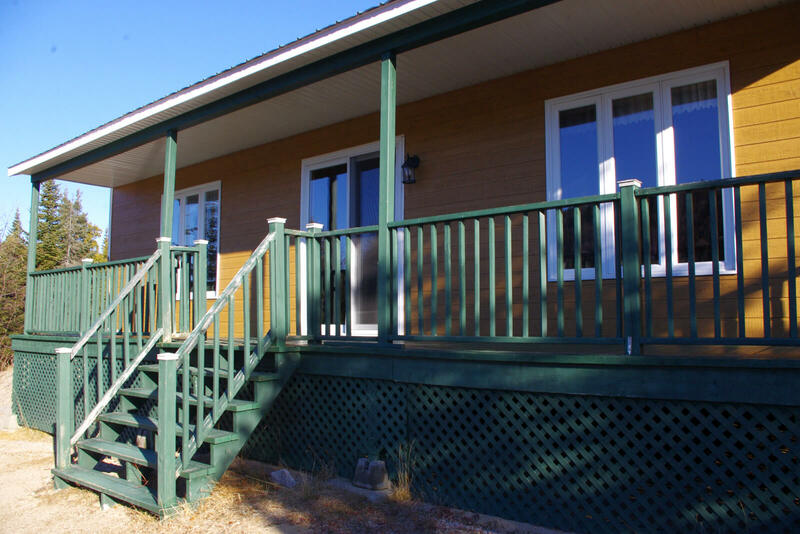 This beautiful chalet has 2 large bedrooms upstairs. 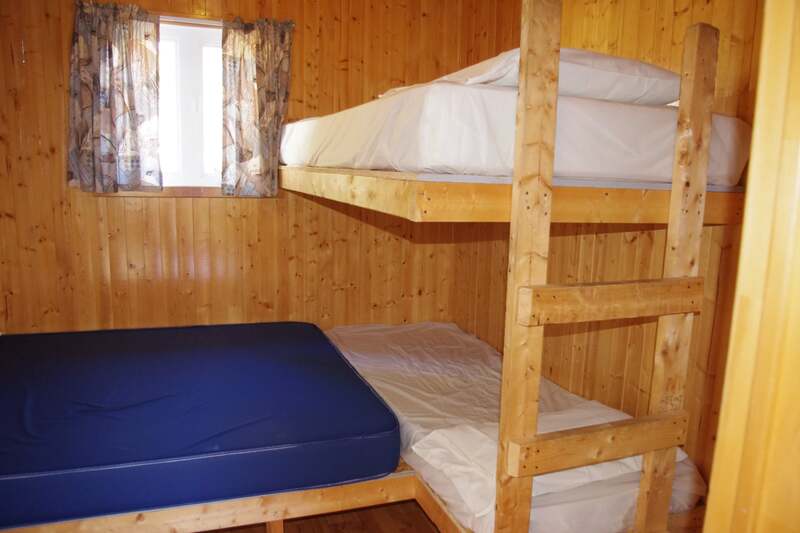 One of them includes 2 double beds and the other two double beds and 2 single beds. 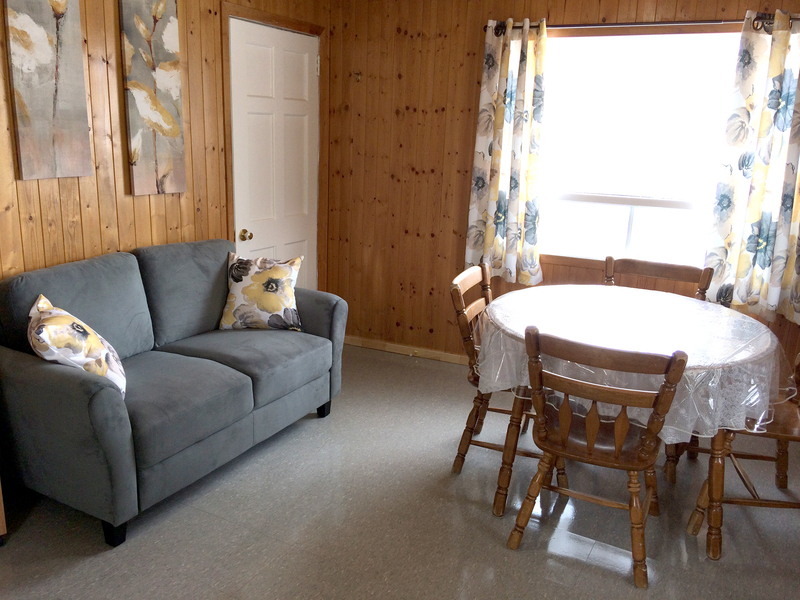 It is rented for a minimum of 6 adults in May and June and for 4 adults and more as of July, but it can easily accommodate 10 people. 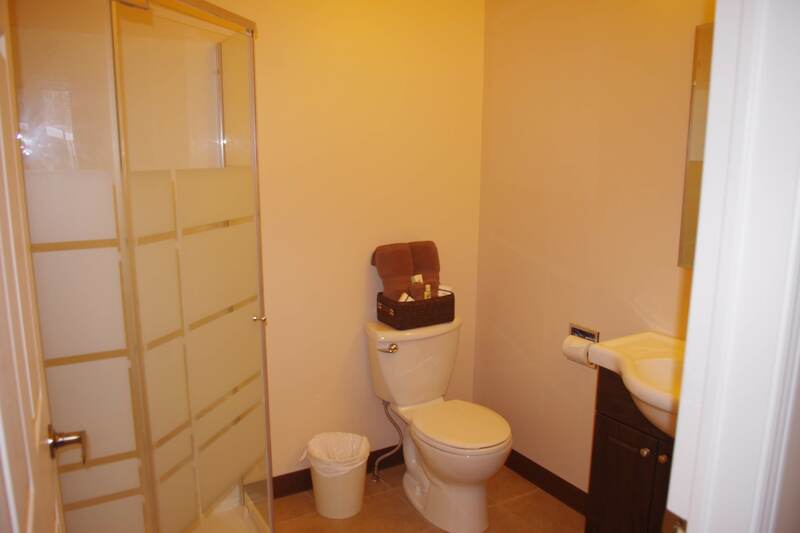 A full bathroom with a shower is also available upstairs. 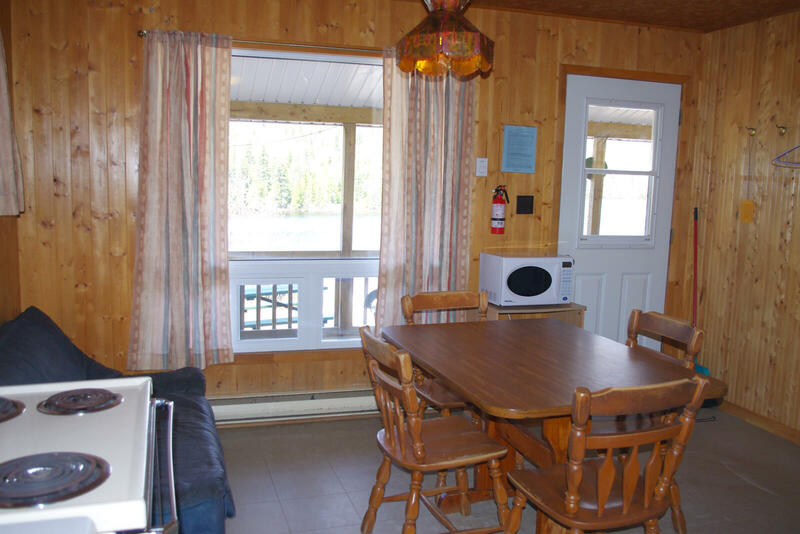 As for the ground floor, we find a living room with a wood burning stove, a bathroom, a large dining room and, like in all chalets, a refrigerator, a stove, a microwave, a toaster, a filter coffee maker, dishes, pans and all necessary equipment. The chalet number 7 was built in 2003. There are three large bedrooms, each including a double bed and one or two single beds plus 2 double futons in the living room. 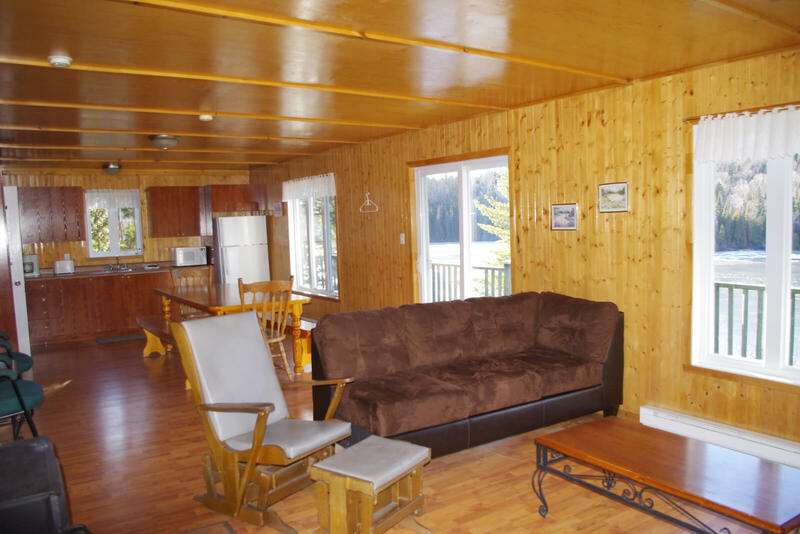 This large chalet is rented for a minimum of 6 adults in May and June and for at least 5 adults from July on, but it can easily accommodate a dozen people. 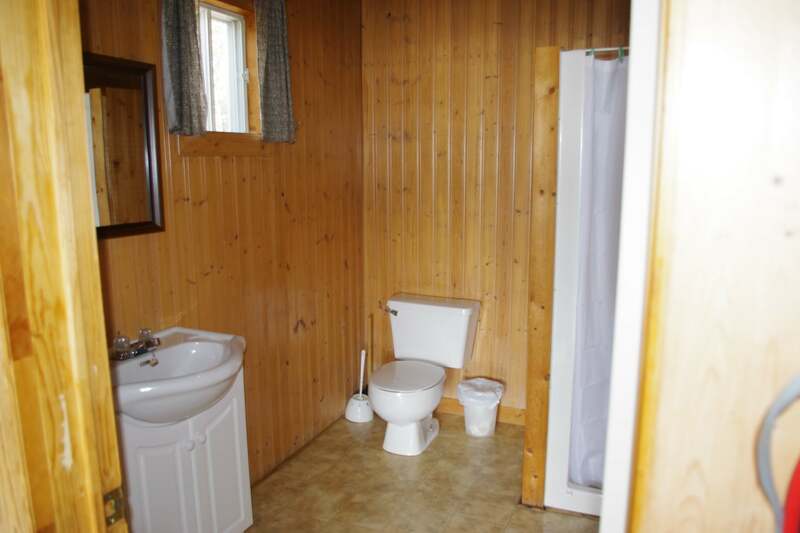 There is also a full bathroom with a shower. 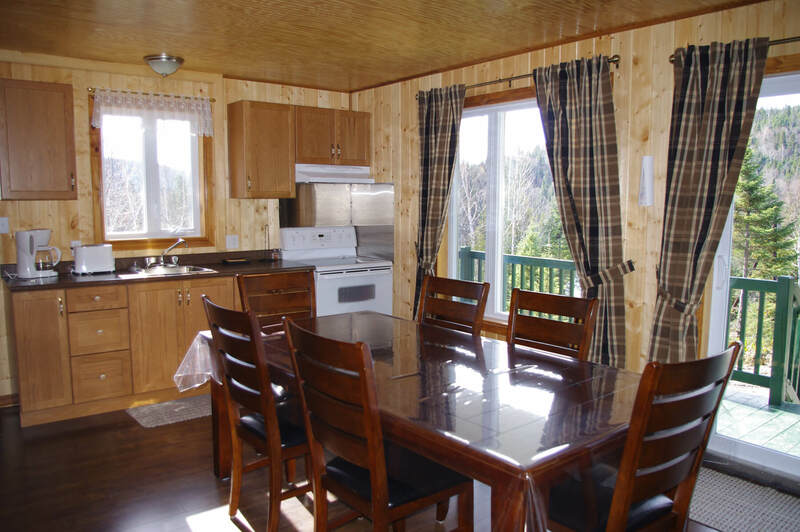 The kitchen is fully equipped with electricity and includes a refrigerator, a stove, a microwave, a toaster, a filter coffee maker, dishes, pans and all necessary equipment. 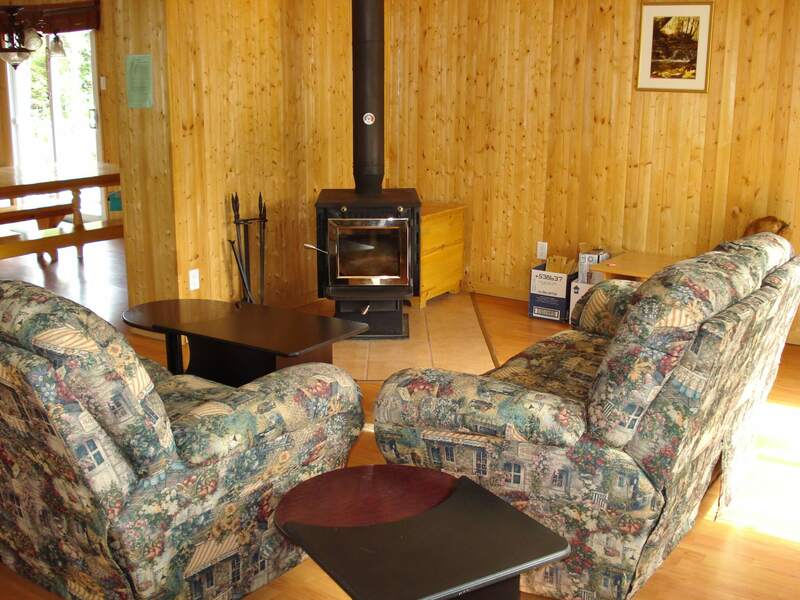 A wood stove was installed in 2007. This chalet is very bright thanks to the windows that cover most of its facade. 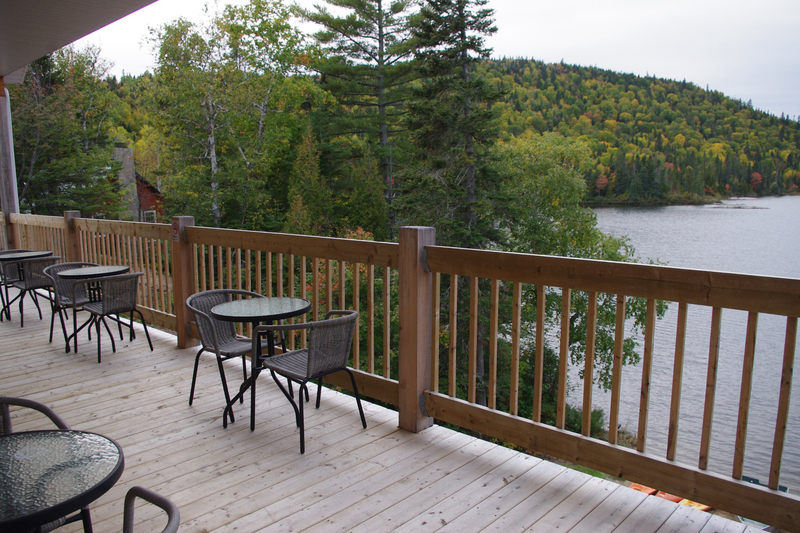 A large gallery at the front allows you to relax and enjoy the beautiful lake Boulanger. 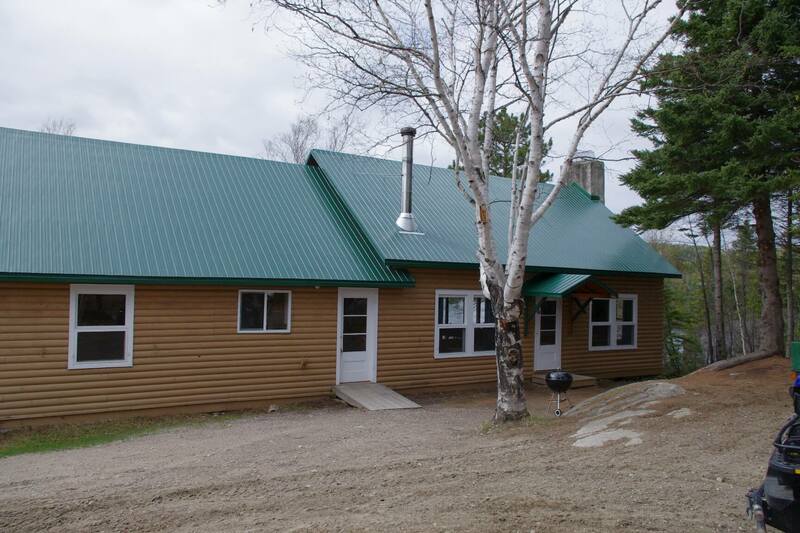 The chalet number 8, like the number 7, was built in 2003 and is identical to the latter. There are three large bedrooms, each including a double bed and one or two single beds plus 2 double futons in the living room. 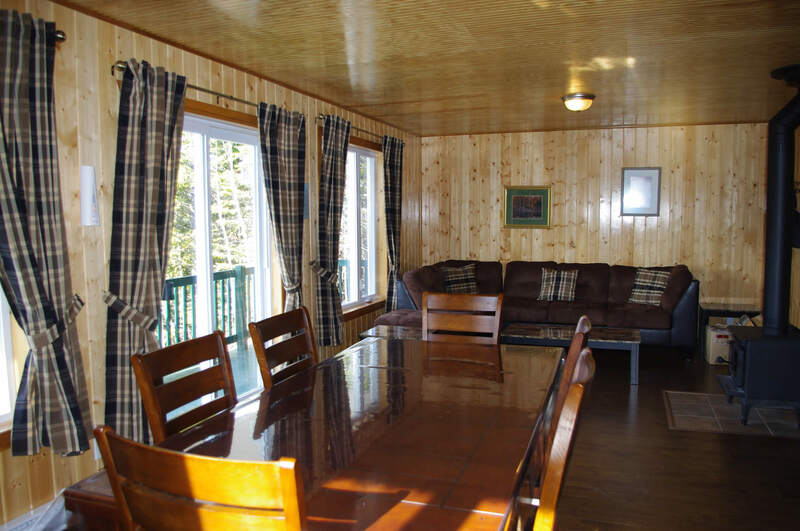 This large chalet is rented for a minimum of 6 adults in May and June and for at least 5 adults from July on, but it can easily accommodate a dozen people. 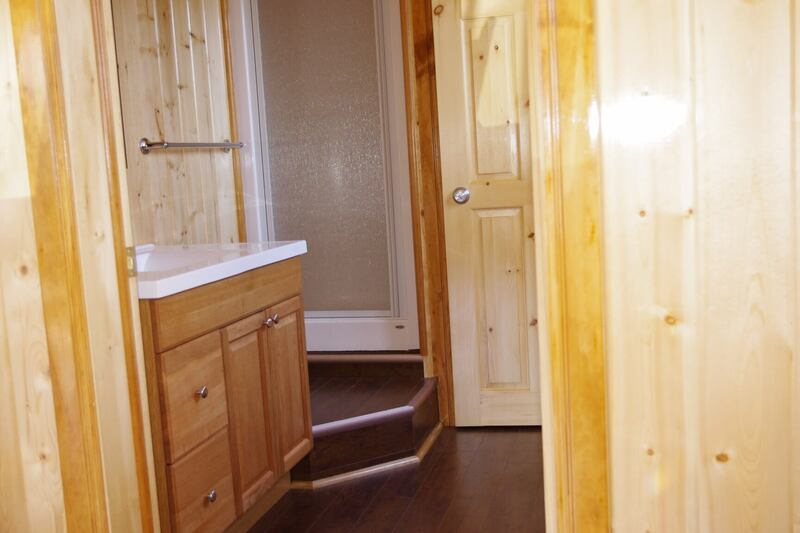 There is also a full bathroom with a shower. 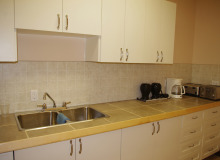 The kitchen is fully equipped with electricity and includes a refrigerator, a stove, a microwave, a toaster, a filter coffee maker, dishes, pans and all necessary equipment. A wood stove was installed in 2008. This chalet is very bright thanks to the windows that cover most of its facade. 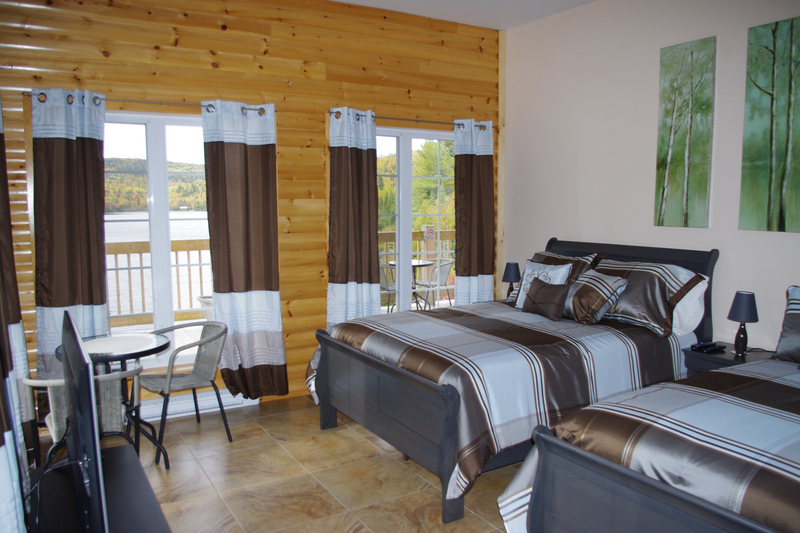 A large gallery at the front allows you to relax and enjoy the beautiful lake Boulanger. 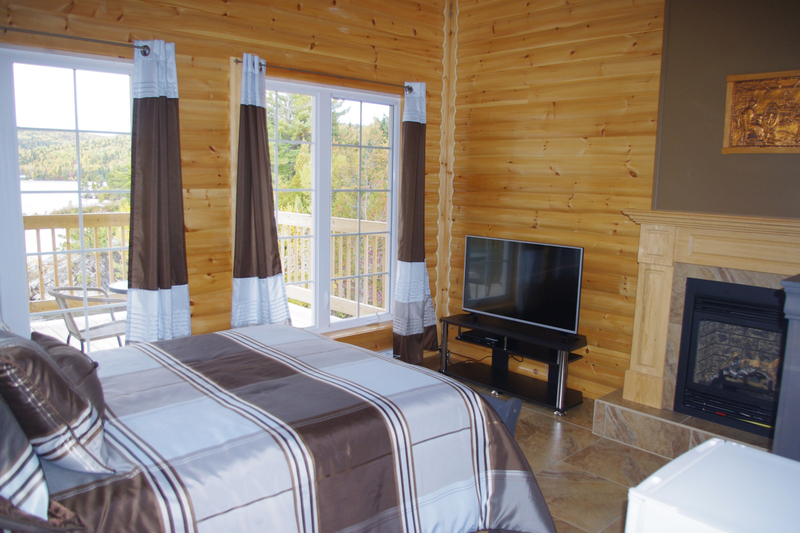 The chalet number 9 was built in 2012. 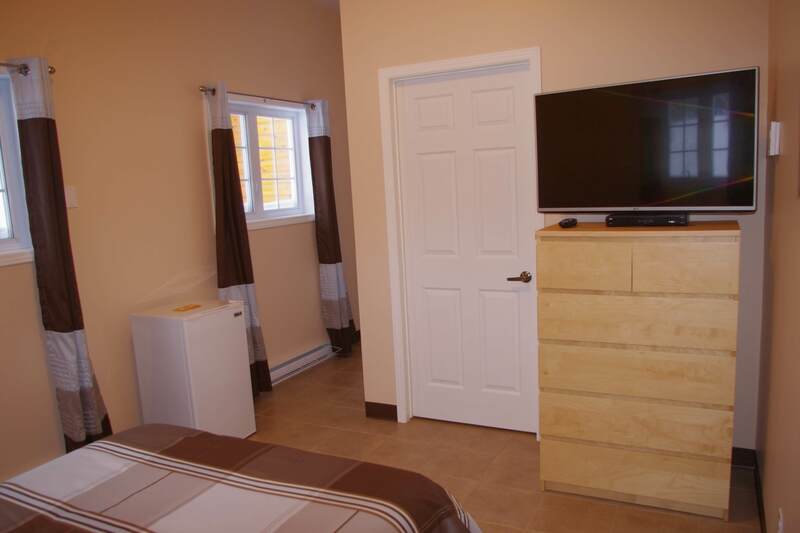 There are two bedrooms, each including a double bed and two single beds plus 1 double futon in the living room. 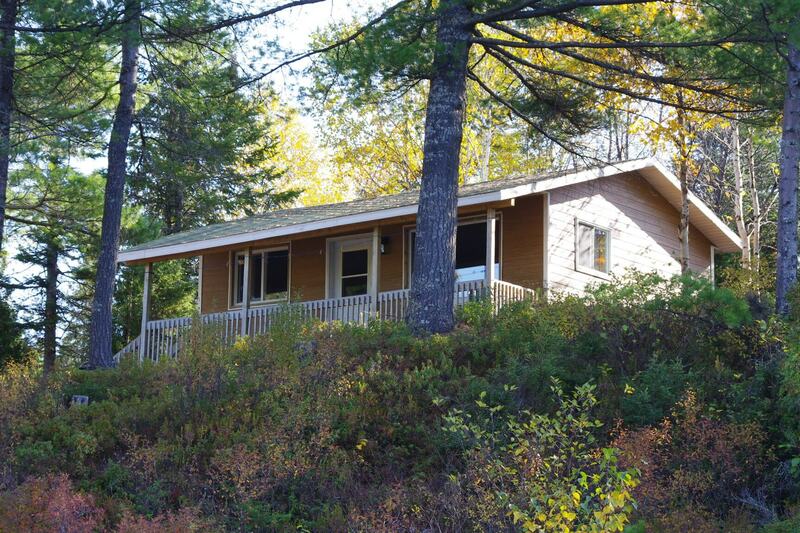 This chalet is rented for a minimum of 4 adults but it can easily accommodate 8 people. 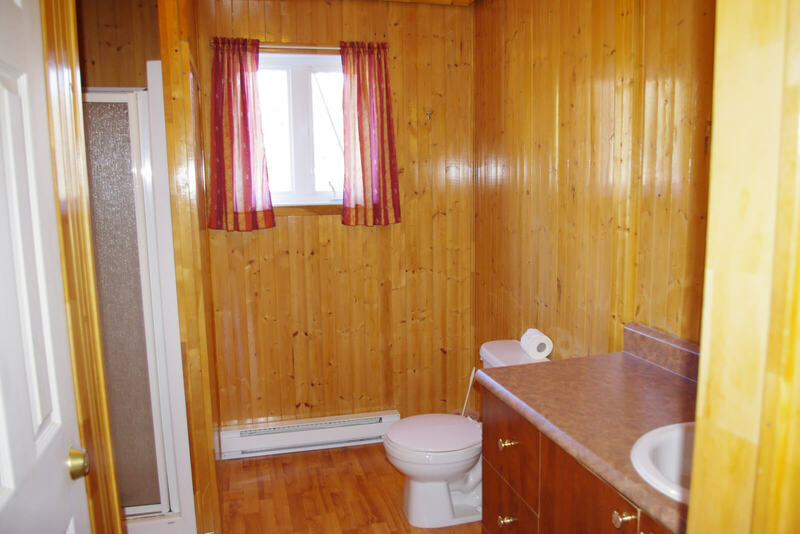 There is also a full bathroom with a shower. 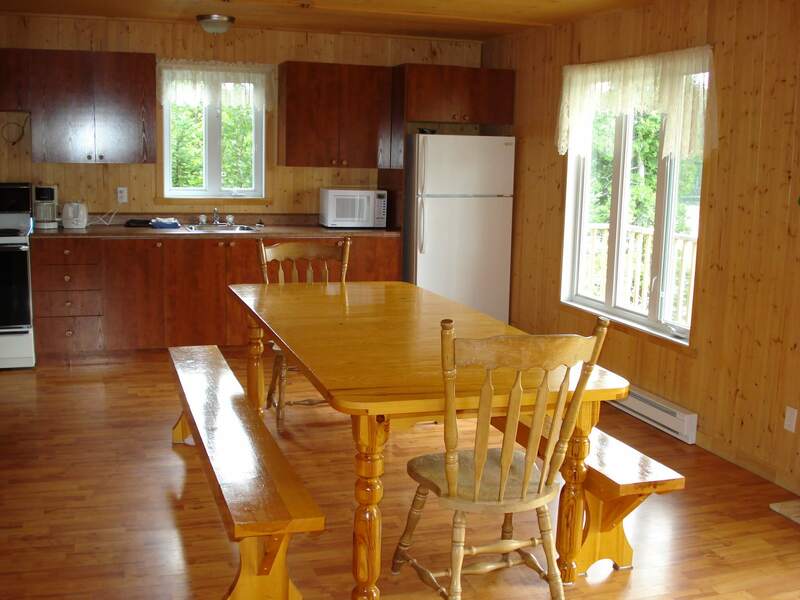 The kitchen is fully equipped with electricity and includes a refrigerator, a stove, a microwave, a toaster, a filter coffee maker, dishes, pans and all necessary equipment and a wood stove. This chalet is very bright thanks to the windows that cover most of its facade. 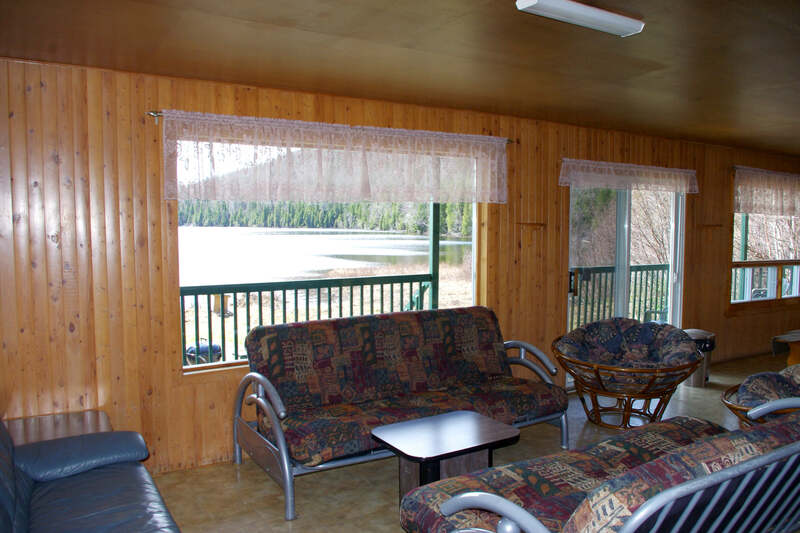 A large gallery at the front allows you to relax and enjoy the beautiful lake Boulanger. 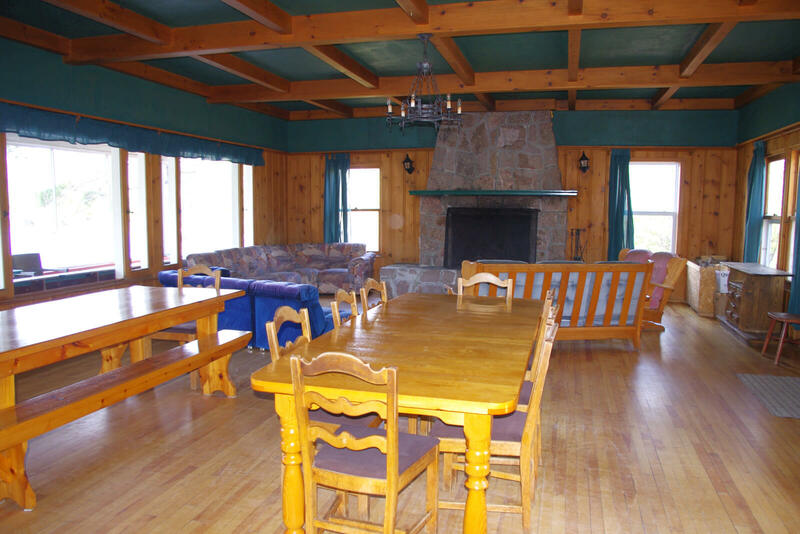 Built in 2003, the chalet number 10 can accommodate 10 people. 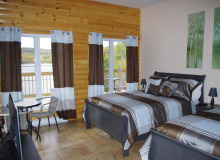 There are three large bedrooms, each containing a double bed and two single beds. 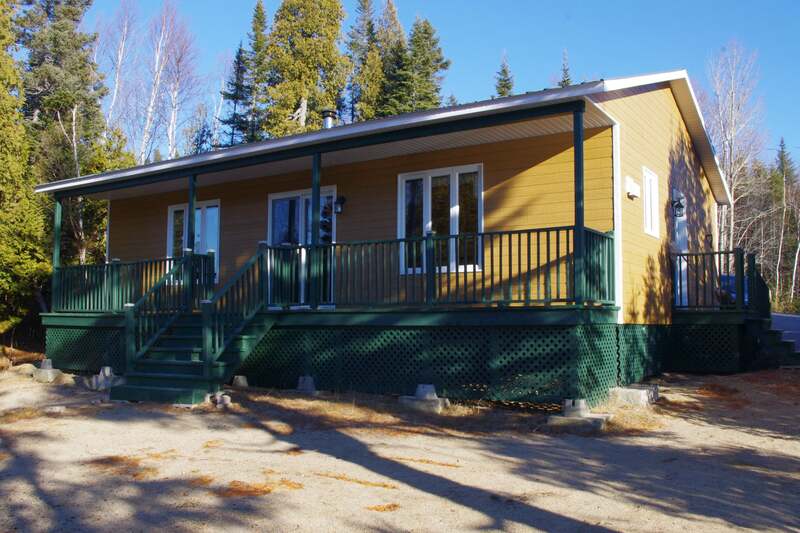 This large chalet is rented for a minimum of 6 adults in May and June and for at least 5 adults from July on. 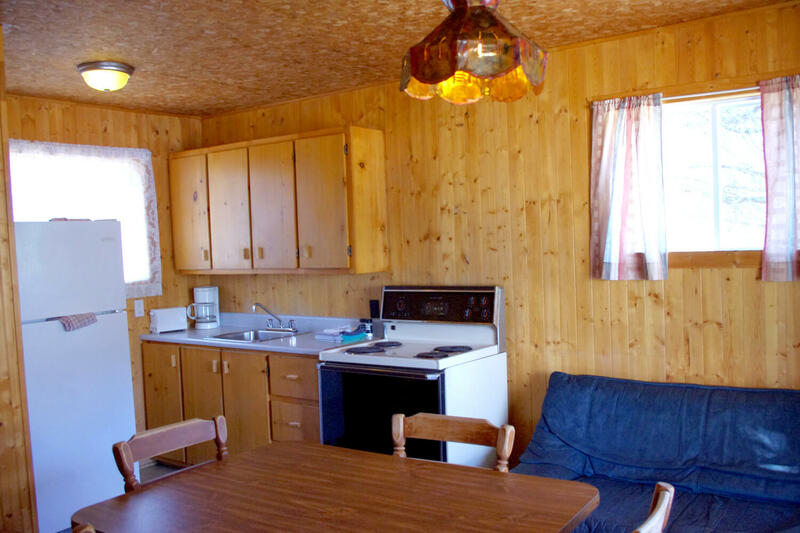 Unlike the other chalets, the chalet number 10 is equipped with propane for the stove, 2 refrigerators and water heaters and the light is produced by solar energy. 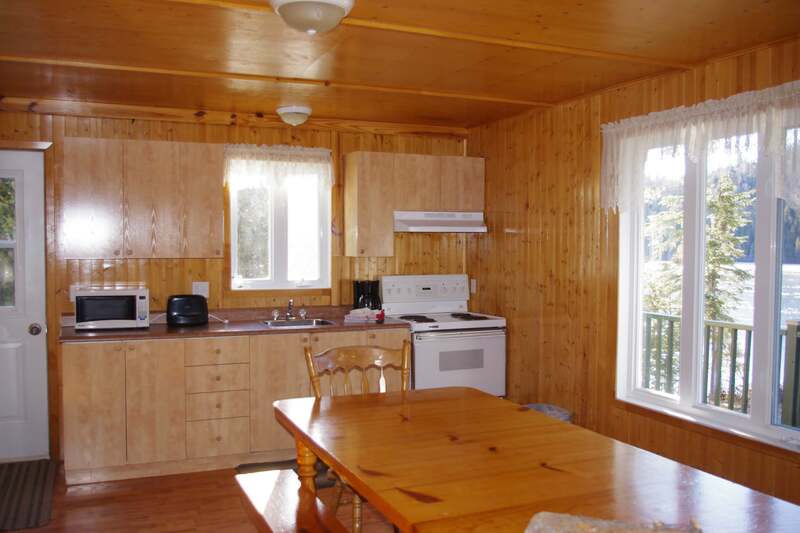 There is also a full bathroom with a shower and a wood stove in the living room. 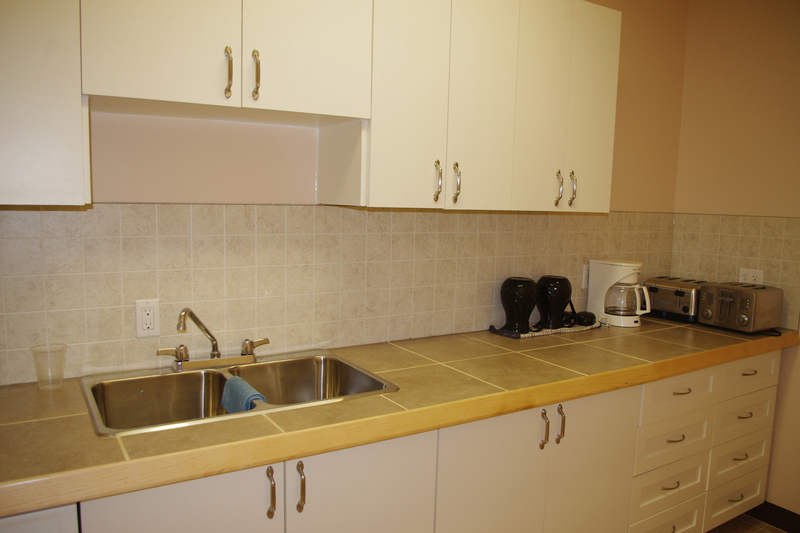 The fully equipped kitchen includes dishes, pans and all necessary equipment. This chalet is very bright thanks to large windows that cover most of its facade. 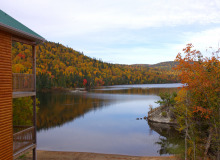 It is located at the end of the lake Boulanger, so it is isolated from other chalets. 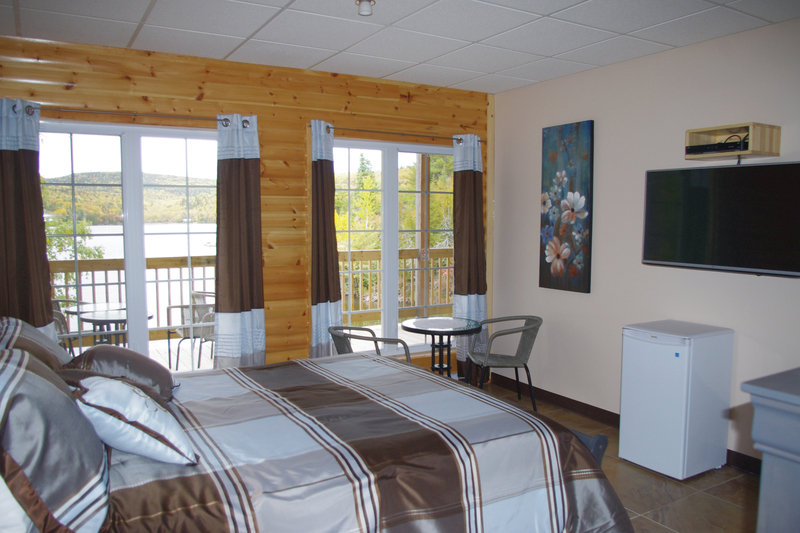 A large gallery at the front allows you to relax and enjoy the view of the beautiful lake Boulanger. 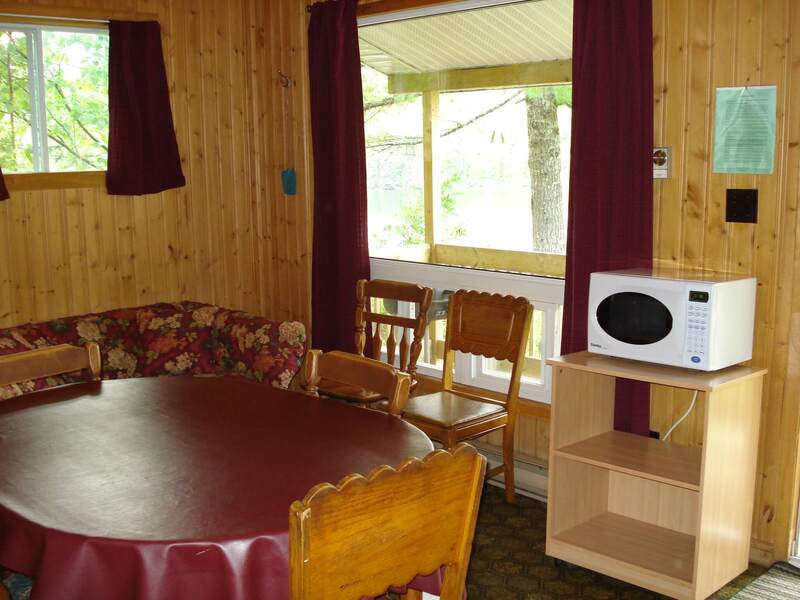 The chalet number 11 is arranged for four to five adults. 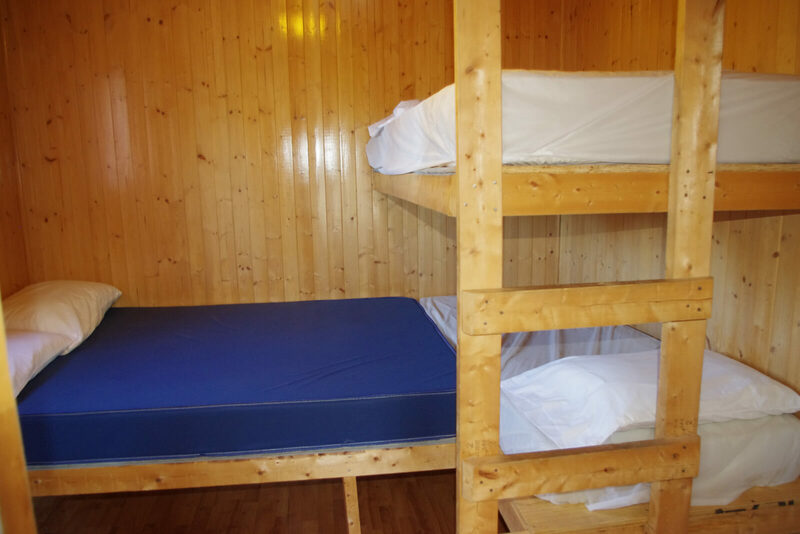 There are 2 bedrooms, one of which includes a double bed and the other 4 bunk beds. 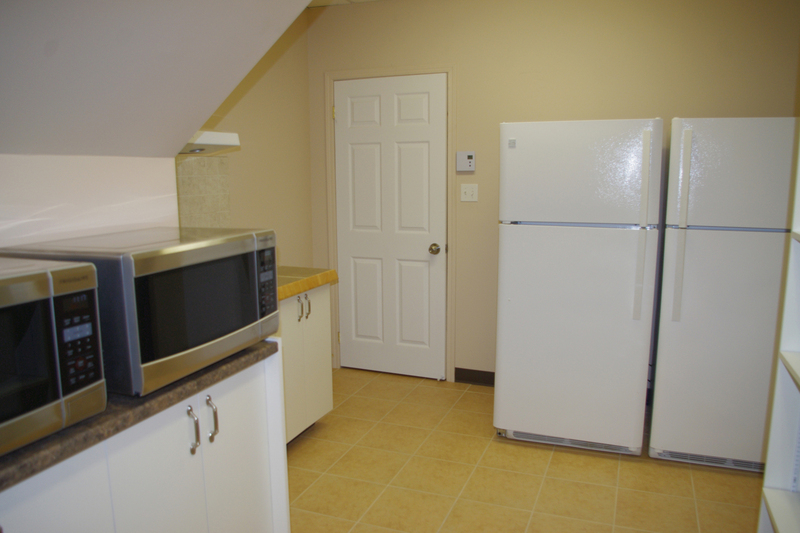 The kitchen is fully equipped with electricity and includes a refrigerator, a stove, a microwave, a toaster, a filter coffee maker, dishes, pans and all necessary equipment. 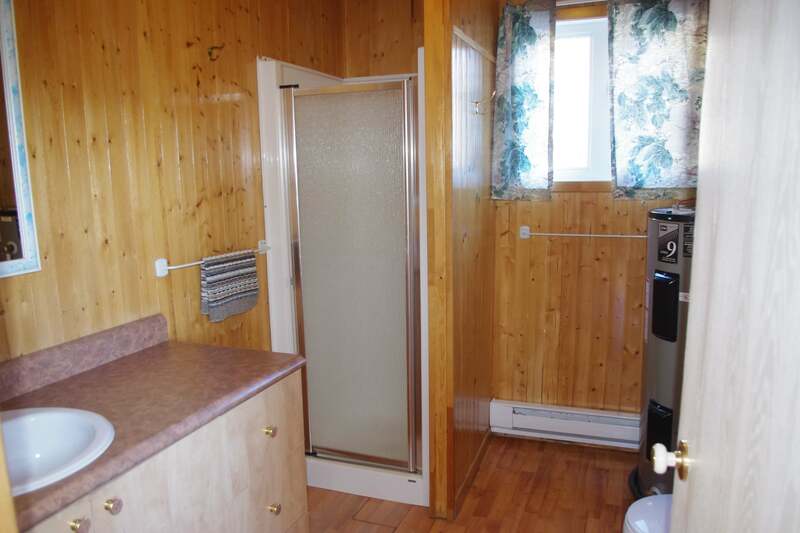 The bathroom is equipped, of course, with a shower. 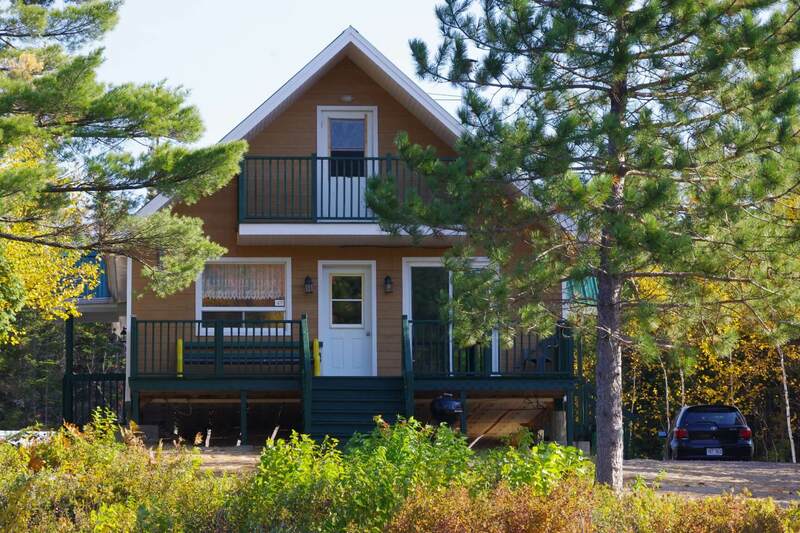 This chalet is situated by the big Lake Long. 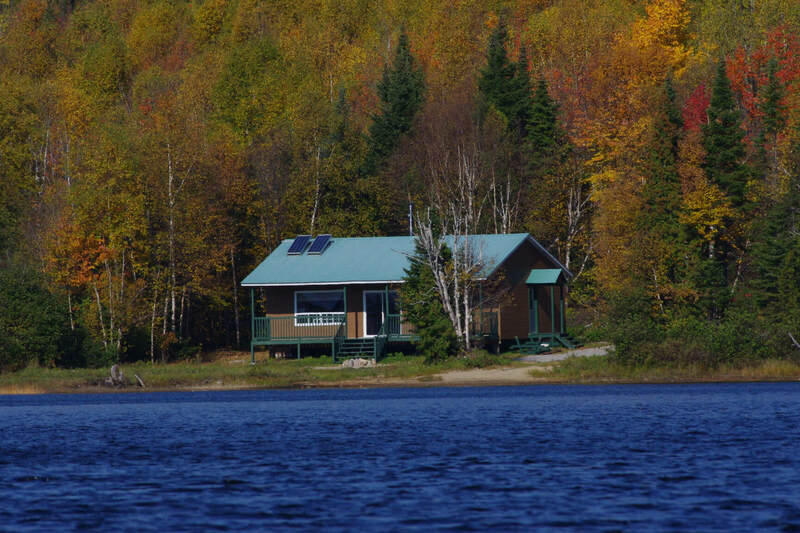 Far from the stress of the city, in the middle of the boreal forest, in the middle of nature on the edge of the lake, with bucolic landscapes and this, 12 months a year. Magnificent pavilion with 6 rooms classified 5 stars, some with view on the lake and / or with fireplace or others with view on the forest. 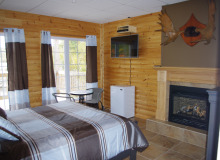 TV and Wi-Fi with continental breakfast included. Large terraces overlooking the lake. 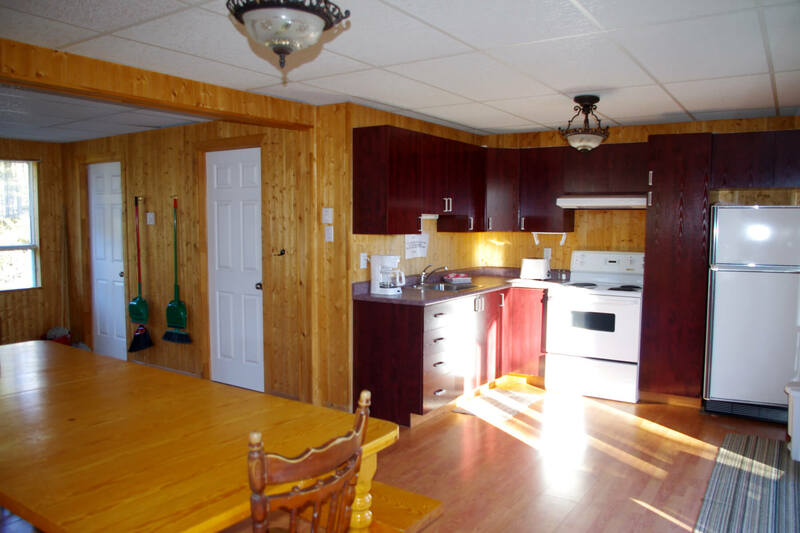 Common access to a fully equipped kitchen and dining room.